Oh life with a toddler, it's loads of fun. These days I just can't find the time for much, but one thing that's important is getting together for playdates with other mamas. Whether it's for the tiny humans to play or the adults to have real conversations it's important. Luckily we have a number of friends with kids around the same age. When it comes to playdates I have one rule -- Keep it simple. Don't stress out. Make a few appetizers, keep pouches handy and have plenty of wipes around. Playdates can get messy. 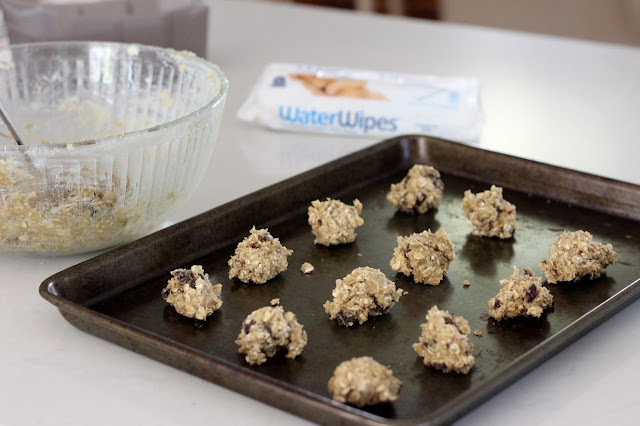 This summer I was introduced to WaterWipes and have been telling all my mama friends how amazing they are. Especially boy mamas and those with sensitive skin. 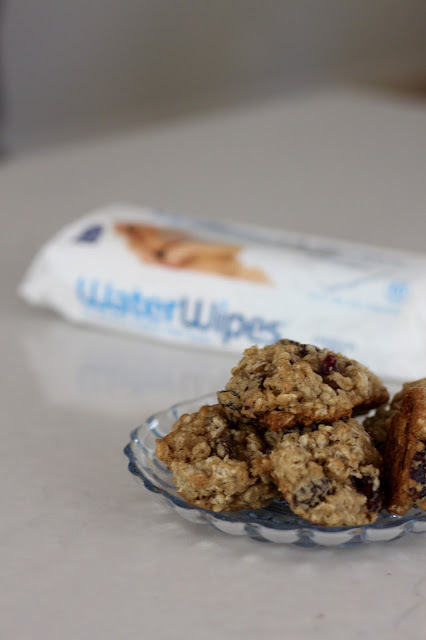 WaterWipes are both durable and effective without containing any of the harmful chemicals that may be found in other baby wipes, WaterWipes proves a safer, natural option for your little one. With cooler temps playdates might need to be spent inside. [eek] I know what are you going to do? Depending on age get crafty or bake some delicious toddler friendly cookies! We prefer oatmeal raisin. While the kids play have a 'real' conversation while enjoying those cookies you just made. Need some starter topics? Share some of your favorite products kid or non kid related. Maybe the killer item you just scored at Target. You know the love for Target runs deep in all of us. Playdates can get messy especially when you have cookies or popsicles! We like to keep WaterWipes throughout the house for those just in case moments. At a recent playdate I received a number of questions about WaterWipes and why we switched. Well, because they're awesome! Plus, they're a chemical free baby wipe that contains only two ingredients, 99.9% pure Irish water and 0.1% grapefruit seed extract. How fun! We actually live in Carson City. I have been meaning to take my kiddo (almost 2) to Tahoe, but I am always afraid of venturing out there alone!